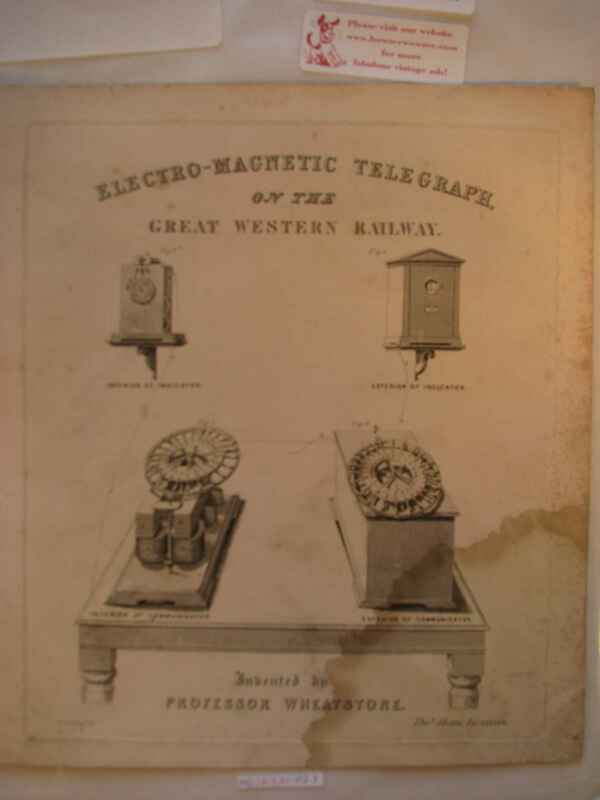 Full Description: A large print (250x 280mm) undated, but of a very similar style to Item NC.1.2.1-019, displaying "The Electro Magnetic Telegraph on the Great Western Railway", with four images of the "Communicator" and the "Indicator" devices. Fig 3 shows the housing of the "Indicator", and original of which is in Section C.18 of the Concertina Museum Catalogue, a section which contains details of the instruments in the Collection that derived from the King's College Wheatstone Museum. Signed in the plate "Thos Home, Licensee".